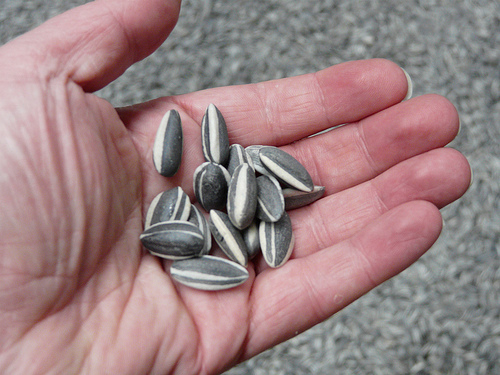 an architecture: Ai Weiwei - Sunflower Seeds. Ai Weiwei - Sunflower Seeds. China's image abroad is suffering - however - the country seems to be immune against foreign criticism, no matter if it comes from the nobel prize committee, which recently awarded Liu Xiaobo for the "2010 Nobel Peace Prize", or from Ai Weiwei, one of China's most well known contemporary artists. 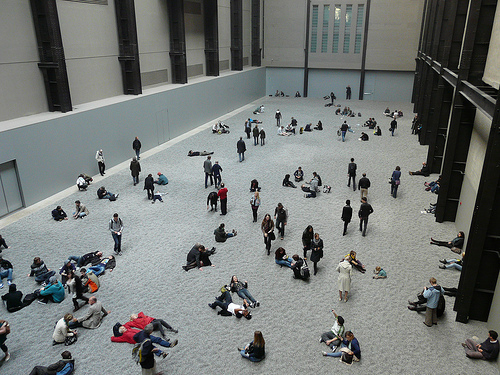 Ai Weiwei recently installed the work "Sunflower Seeds" in The Tate Modern Turbine Hall. 2010-11-04: The installation has been shut down because of noxious ceramic dust wafting off the 100 million porcelain sunflower seeds. 2010-11-05: Ai Weiwei is under house arres at his home in Beijing. Authorities want to prevent him holding a party to mark the forced demolition of his new Shanghai studio.